A Grace of Inarius set 6-s set bónusza túl gyakran aktiválódott a Miranae leg. gem, ill. más on hit alapú legendarykkal, ezt javították. Javították azt a hibát, hogy bizonyos necromanta only itemeket más classok is használhatnak. Hellcat Waistguard item egynél többször is eshet most már. Bones of Rathma 6-s set bónusz változtatásra került, az eddig 250% dmg bonus miniokra és Land of the Deadre/Skeletal Mage helyett, már 650%/Skeletal Mage lett, továbbra is maradt összesen 2500% sebzésbónusz. így már csak 4-t kell leidézni a max. bónuszhoz a korábbi 10 helyett. A maximálisan egyszerre lent lehető Skeletal Magek számán nem változtattak a fejlesztők. 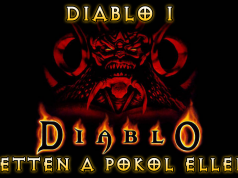 Javították a Demon Hunter Marked for Death Grim Reaper rúnáját is, mely Frailty hatására rosszul szórta szét a sebzést. During the beta for Patch 2.6.0, we anticipated that various bugs would surface. Thanks to efforts from our players and our own QA team, supported by a long beta cycle, we were able to catch the vast majority of these. 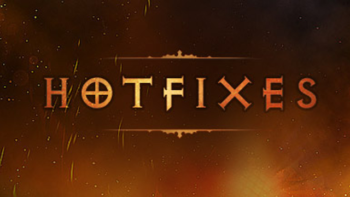 With recent reports from players, we have since verified and prepared hotfixes for the remaining issues which would impact the upcoming Season 11 leaderboards. Unfortunately, some of these have affected the new Era leaderboards which began last Tuesday. As such, we will be wiping these leaderboards to provide a clean slate for everyone that is hopefully bug-free. Additionally, we have been looking at underperforming items including Set items, and will adjust these accordingly. 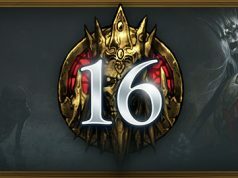 This includes a change to the Bones of Rathma six-piece set bonus based on player feedback. With this, players will only need to have four Skeletal Mages active to receive the full 2500% damage bonus. You can still summon up to ten mages at a time.